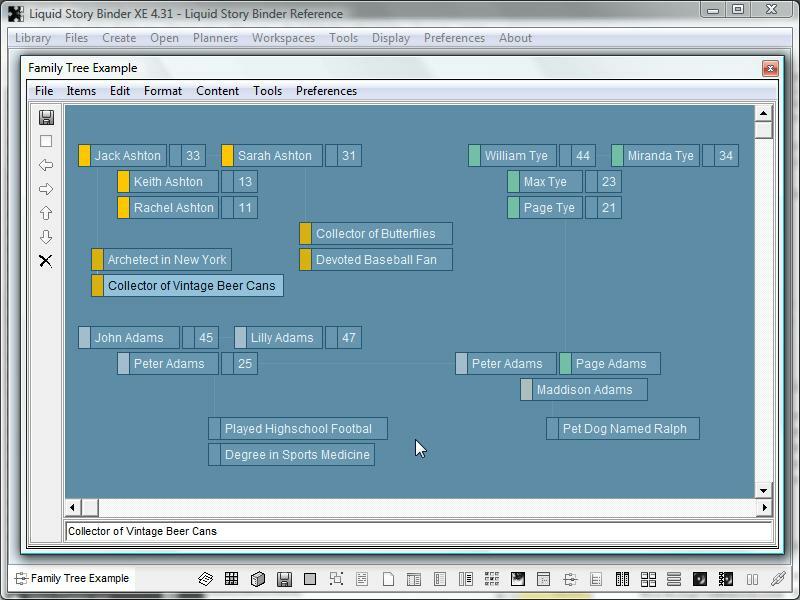 Use a Mindmap to organize Dossiers into a family tree. Place the Mindmap in 'Dossier Mode'. Now, whenever you double-click an item, an associated Dossier will open. Use a Builder to store clips. 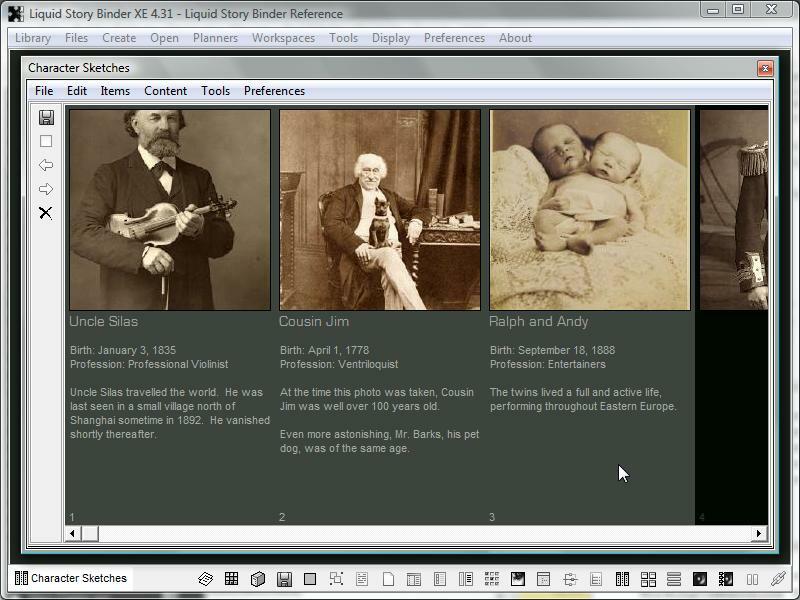 Use a Storyboard to visually organize Chapters. 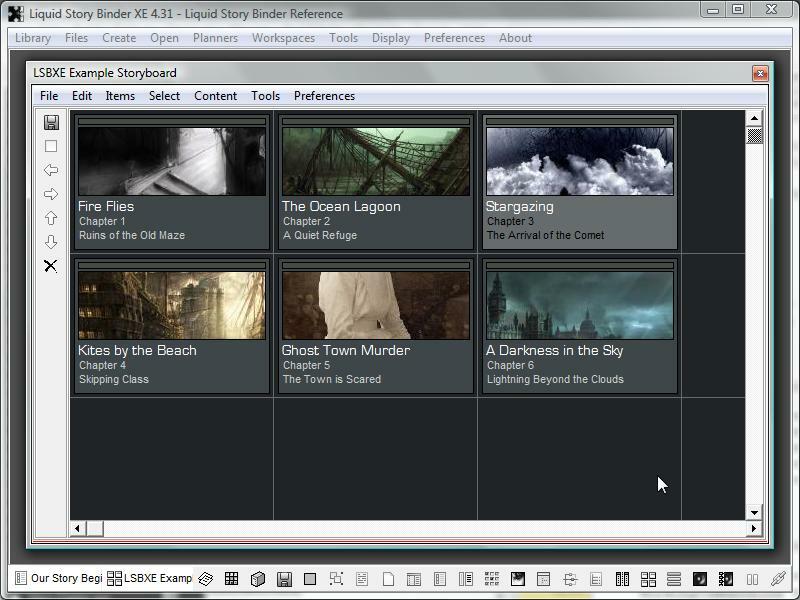 Place the Storyboard in 'Chapter Mode'. 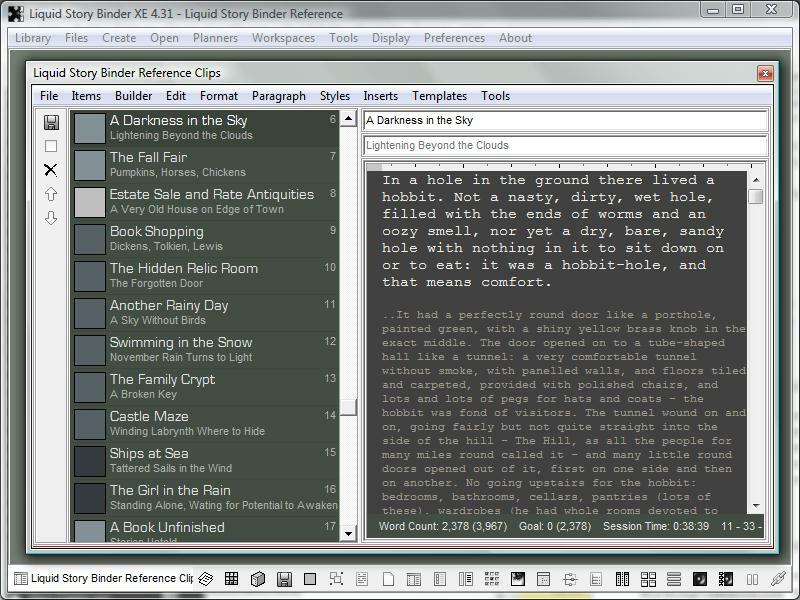 Now, whenever you double-click an item title, an associated Chapter will open. Use a Journal to write a fictional novel based on a daily log or personal diary entries. 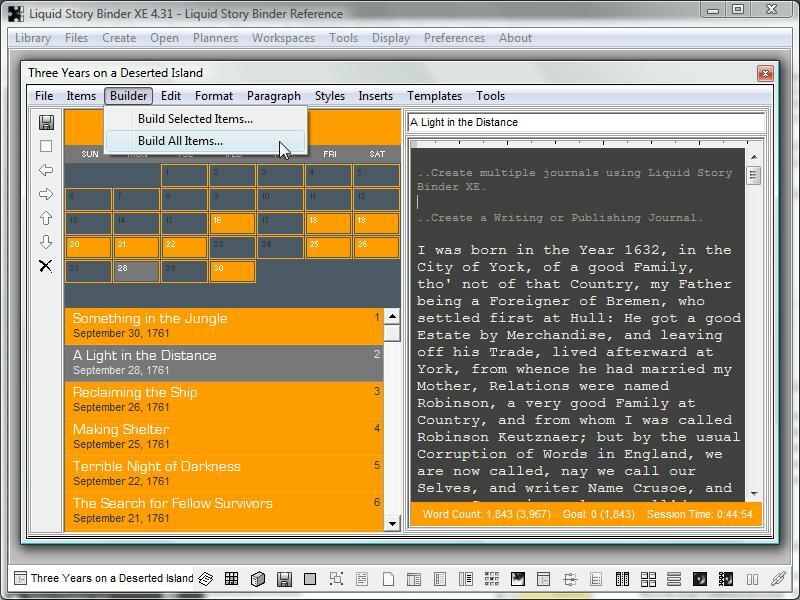 Choose 'Build All Items' to combine your Journal entries into a single Chapter ready for printing or export.